I want to first start out by saying that I will try to make this long story a short one, but if I am unsuccessful in that I do apologize ahead of time. With that being said, this design started with a request from a high school to help them create a new logo and brand. 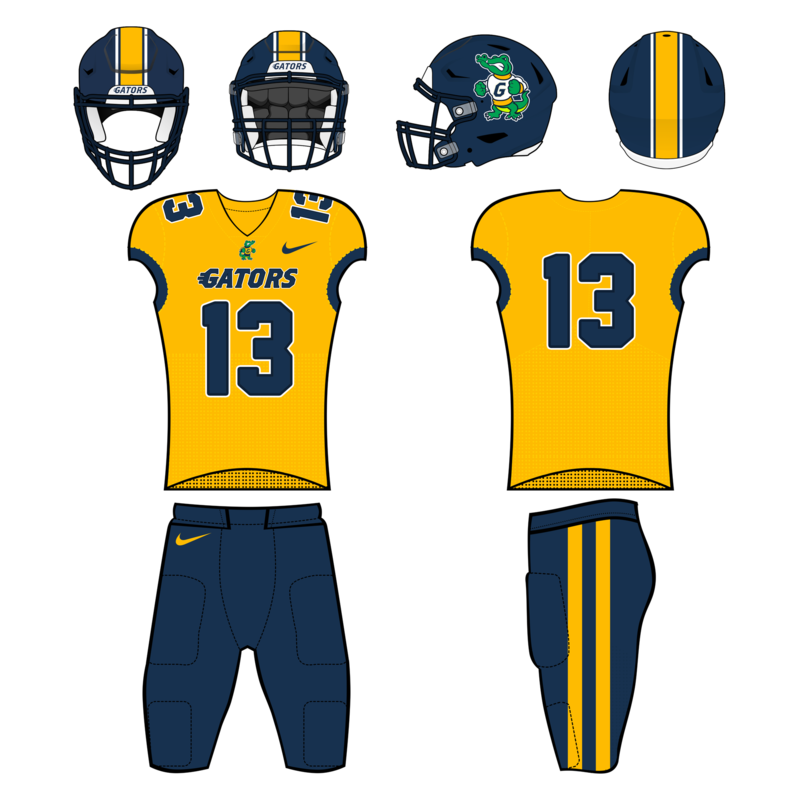 The school's nickname is Gators, so like most high schools with that name they used the different variations of Florida's walking gator and gator head logos, as well as the Georgia/Green Bay "G" for their own branding. 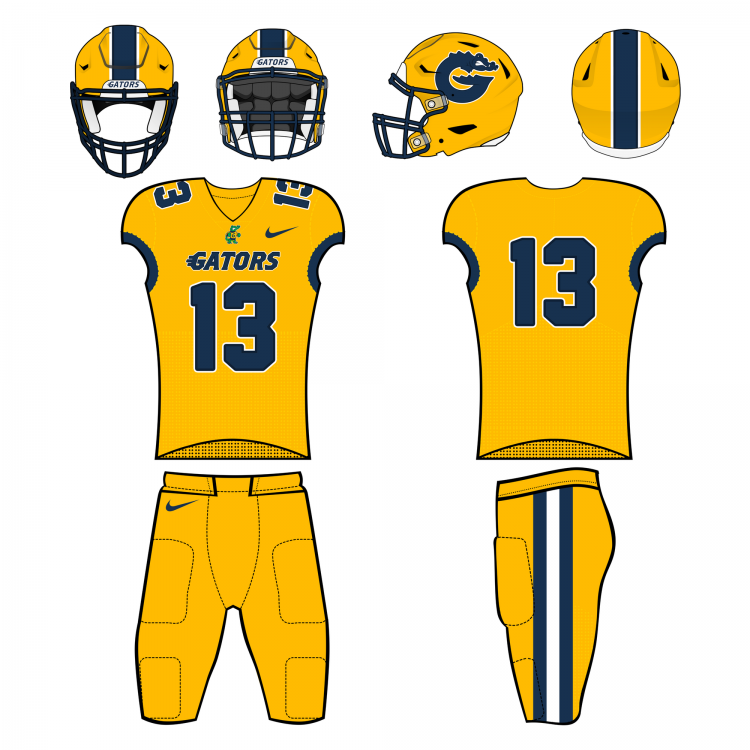 My task was to create something unique to this school, but not lose that basic identity that had been established, and create a "gator G" described to me as a "G" logo that is a gator. 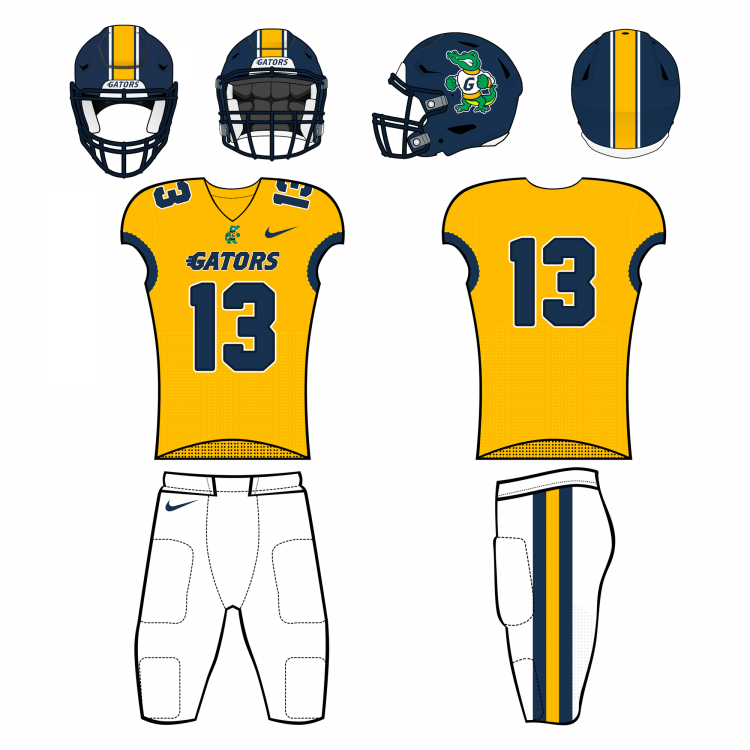 So, my designs were by request heavily influenced by Florida's. 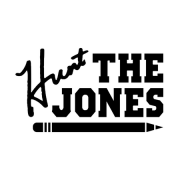 After investing a lot of time and effort into this new "brand" for said school and submitting my work, a new logo was passed and approved without my prior knowledge that was in fact not what I had been working on for months. After that, this become sort of a personal design project that I would continue and try to perfect, so here I am seeking some constructive criticism or compliments on that work so far. C&C, please! I will start off with the colors. The school's primary colors are Navy and Gold, with White as a third. The color in the small circle is meant to be a varying shade of the primary in order to be used in ways that enhance the look, but do not dominate it. I added Green as a color simply because, in my mind, gators are green in logos. It’s meant to be used throughout this "brand" in the same capacity that Ole Miss uses Powder Blue. This first logo is supposed to serve as the primary logo across the board. Above you see it in and on various color combinations. Yes, this is visually similar to Florida's walking gator in the fact that they are both Gators in letter-sweaters standing upright, but I tried to make it look a little more, for lack of a better word, amateur because it's meant for a high school team. The other plus to this logo is the opportunity to use the secondary colors (like Volt, Yellow, and Natural) in ways that I think enhance the overall look of the logo. Personally, this guy turned out to be one of my favorites. This second logo is one of the hardest and most thought out I can say I have ever done. This is the one that came from the request to create a "G" that is a gator in one. Design is a constant and ongoing process, and it took me a long time to finally get to this guy. 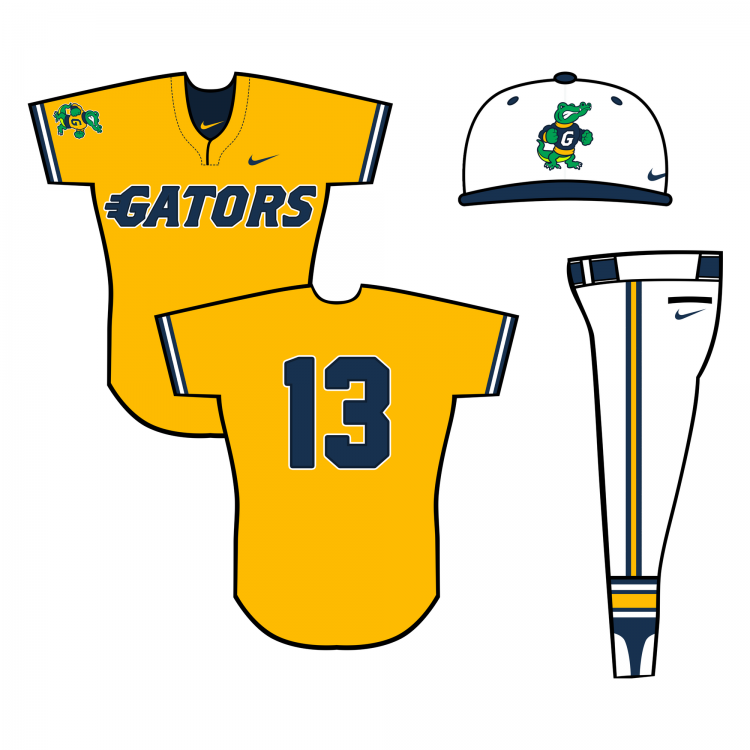 The next evolution of the logo came with the creation of the above “Walking Gator” logo. I decided that if I was going to try and create this “brand” for the Gators, then the actual gator used should be implied as the same gator throughout. So as you will see, the gator head and face are the same in every logo, giving it what I think is a true “brand” look. 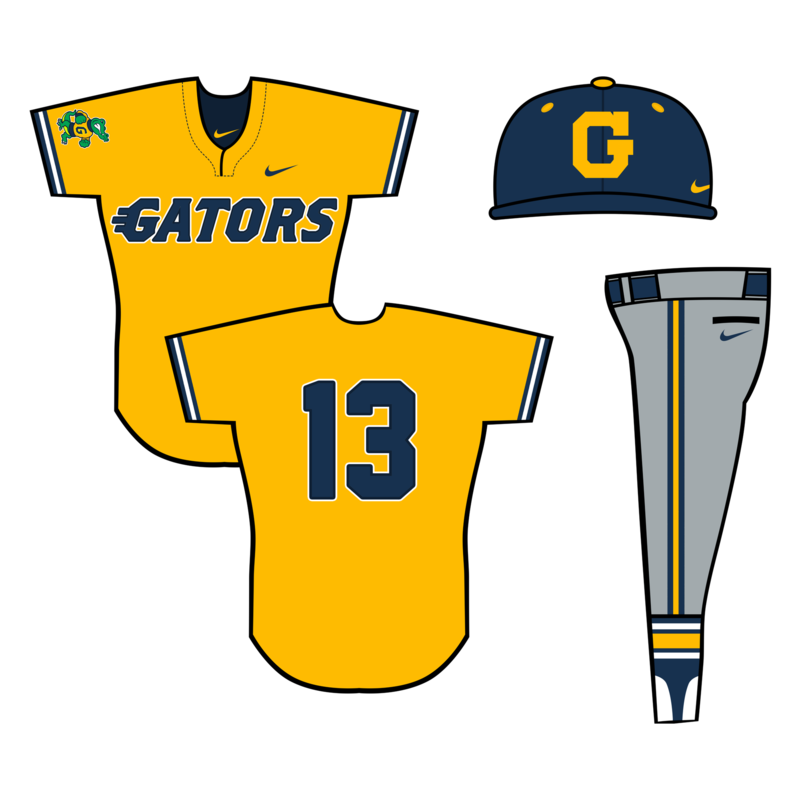 Another logo used extremely often by teams nicknamed Gators is the Florida Gators primary logo, and like I said, this school was no exception. So again, that was the inspiration behind this logo. As you can see, it’s pretty self-explanatory, and like I said, all gators used in this “brand” are to be implied as the same gator. The next logo is one that had to evolve as I went as well. 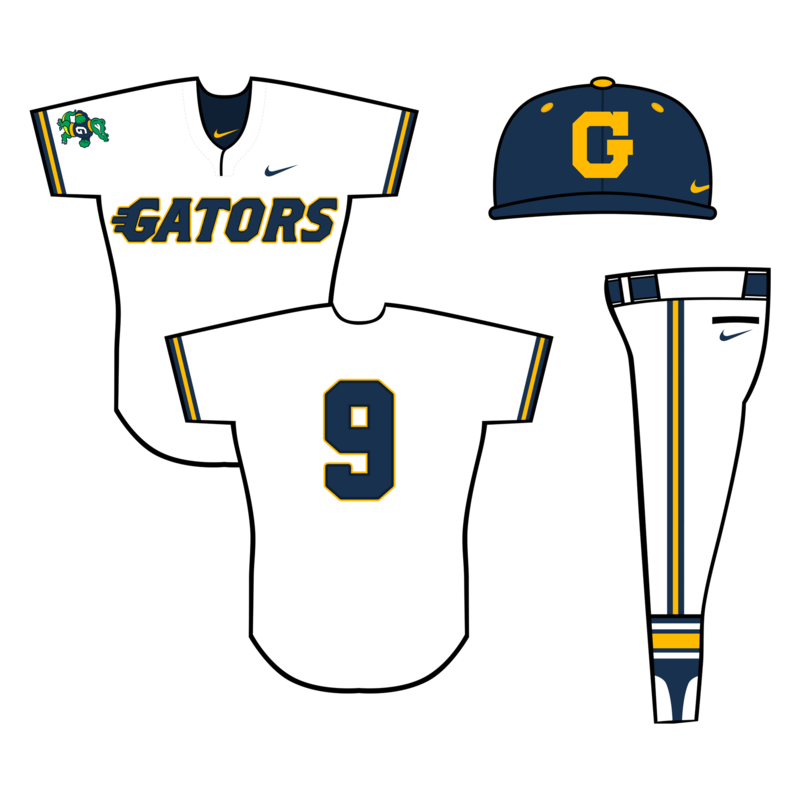 I’m unsure as to what I want to call it even to this point or what capacity it could be used, so we can just go with the “Gator Script” logo. 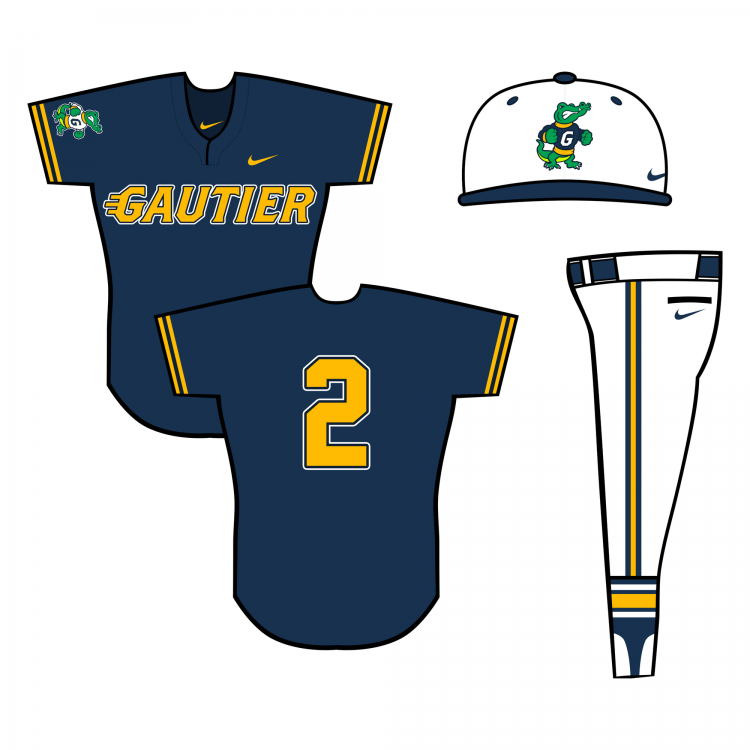 This is the first logo that includes the whole “GAUTIER” word mark within it, and it is simply meant to resemble a gator as it stalks and swims at the top of the water. Using the last logo as an introduction point, these are the word mark logos for the “brand” in each color combination. 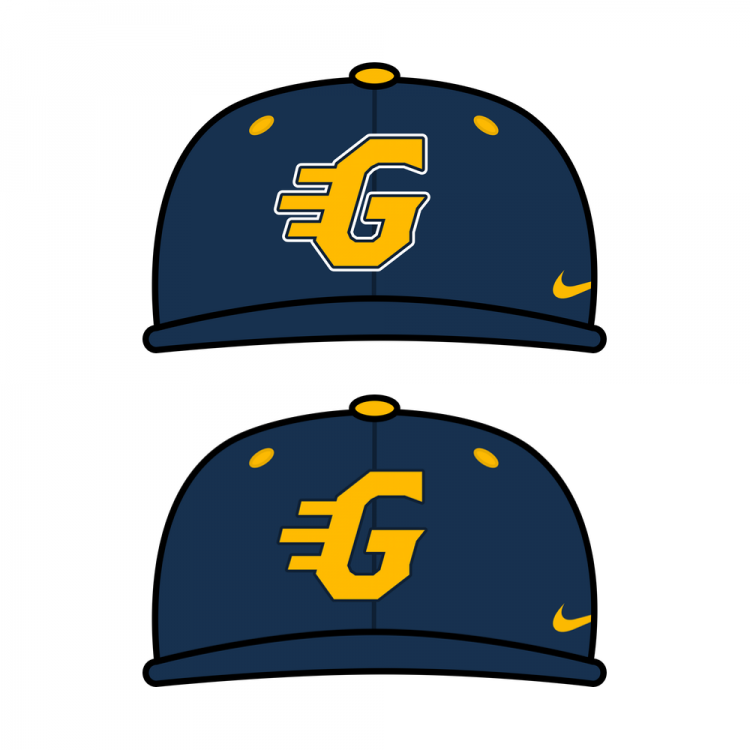 The inspiration for these logos came early on in my time at the school when I noticed that the basketball team used a variation of the “flying” Lakers script on their gear. I always knew it was the Lakers design, but in my mind there was something that just screamed Gautier to me about it (maybe because that’s what I grew up seeing them wear when we played them), so I ran with it. As you can see, the font style used above is the same font style found on the Walking Gator’s sweater, the “Gator Script” logo, and the font that will be used in every piece of the Gautier “brand” to come. This next logo is what I call the tagline. I say that because in my head this logo was meant to serve as the main academic logo within the brand. The same way universities use their seal in the top left corner of postage and official academic documents. This is also a logo that sort of developed out of the “Gator Script” logo. 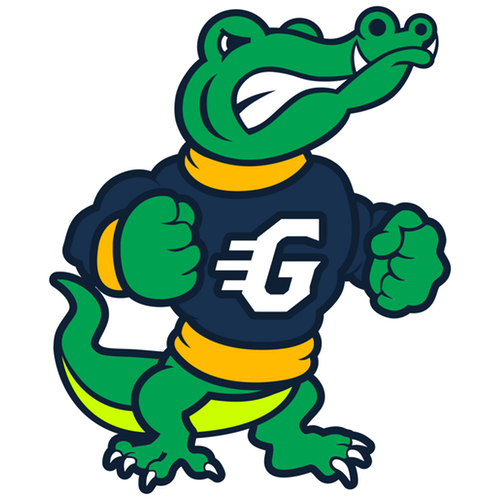 The only changes are the implied presence of water under the gator, the loss of the outline, and the addition of “HIGH SCHOOL” at the bottom of the logo. That pretty much does it for the primary logos that make up the brand, so up next are some of the different variations of the above logos, and if this is well received, possibly uniforms, etc. Thanks for the time and the read! No C&C, or should I move into the other parts of the concept? I think there is no C&C because there isn't really much to complain about here. It's a fantastic logo set, and it's really a shame the school didn't use it. I love how you made a semi vintage mascot logo, that honestly needs to be done more. The only gripe that I have is the outlines are a little thin for my preference, and the gator might be a little too simple. But honestly, it's really not that big of a deal. Thank you! I guess I can get to the rest of the concept then! The uniforms are up next! The primary is nice. The lines for the knuckles and toes could be thicker to be more consistant with the rest of the logo. One other consideration for high school logos is the amount of colors used. Most public schools can not afford to reproduce logos on paper and apperal with more than 3 colors (not including the background color). So I suggest trying to recolor the primary using only navy, gold, green, and white. 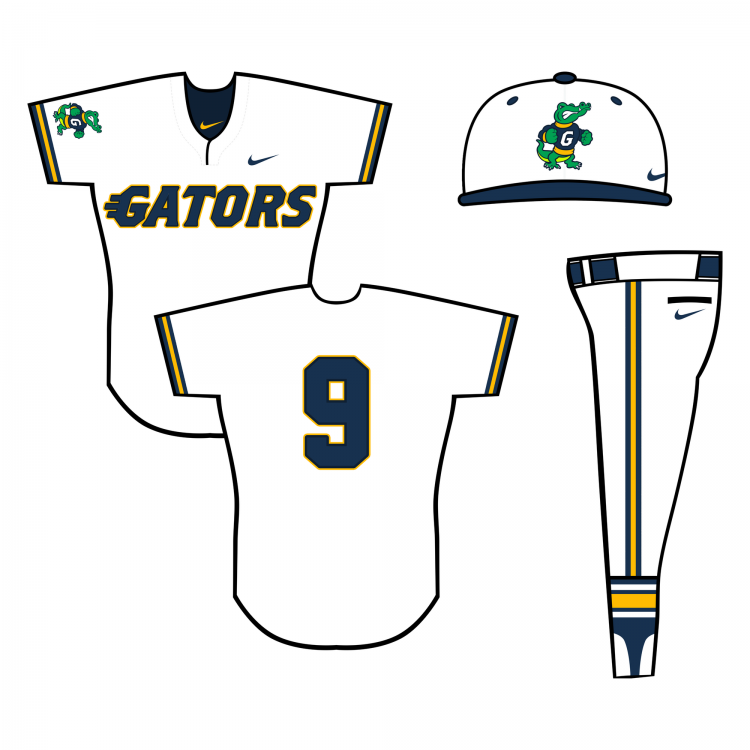 All of your alternates are well done, but there are too many. There is a reason colleges and pros limit logos within there brand identity to a primary and one or two alternates. Thank you @BellaSpurs for the compliment! And @Whitefoot this is something I ran into already, as some of the coaches used my designs prior to the other logo being announced, and the only one that really ran into problems with color was the primary. 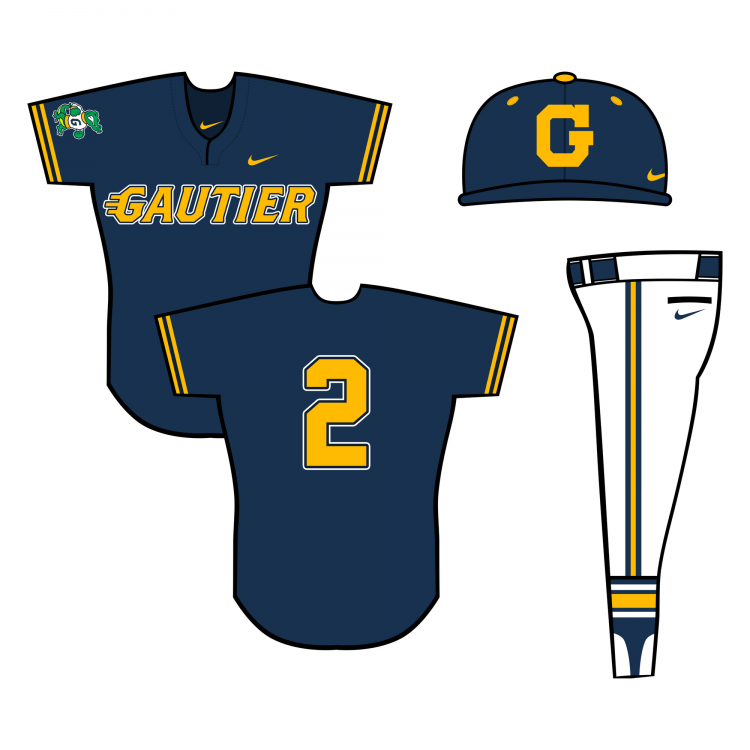 But, it worked for the most part with Navy, Gold, White, Green and Volt because they really only paid for four colors, using the actual color of the shirt in place of one of the colors, and I offered to omit the volt but I guess they liked it enough to keep. Also, as far as alternates go I agree. 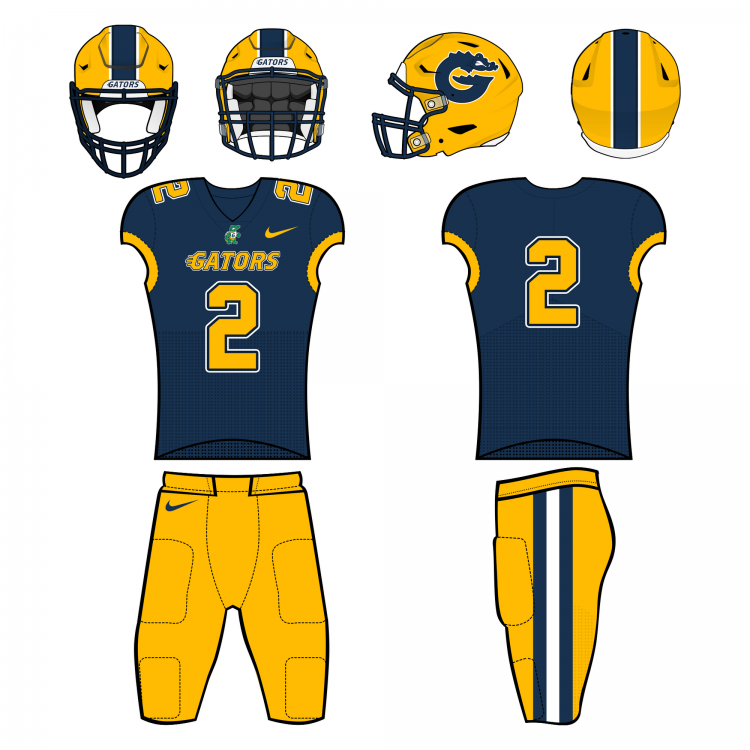 Originally, there are two logos in this set (the walking gator as a primary for the school, and the gator "G" as a secondary, but primary for athletics). As I got deeper into it with fonts and scripts, that just brought upon the other script based logos, some of which have also been used in different capacities and will be used the same way in my concepts. The deeper I got into the brand, the more logos kept popping into my head, so I figured as a high school there would be many different logos to choose from, yet all staying within the same unified gator/font look. Though, some are meant, at least in my head, to be used only in certain situations, such as academic logos only, etc. as explained in the original post. Thank you for the C&C! 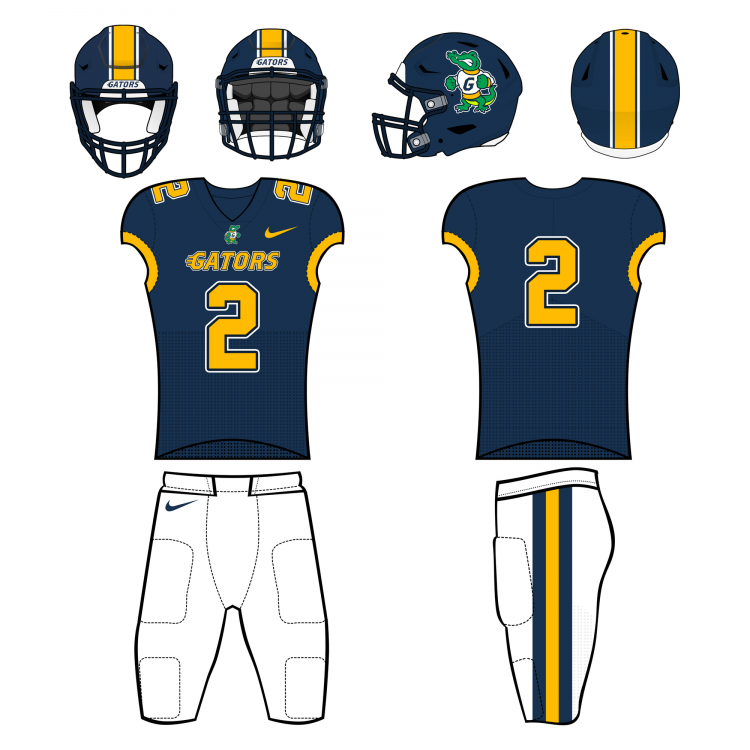 Football (continued): The school currently wears two helmets, a navy and a gold, each sporting the same Florida "Gators" script that UF does on their football helmet. 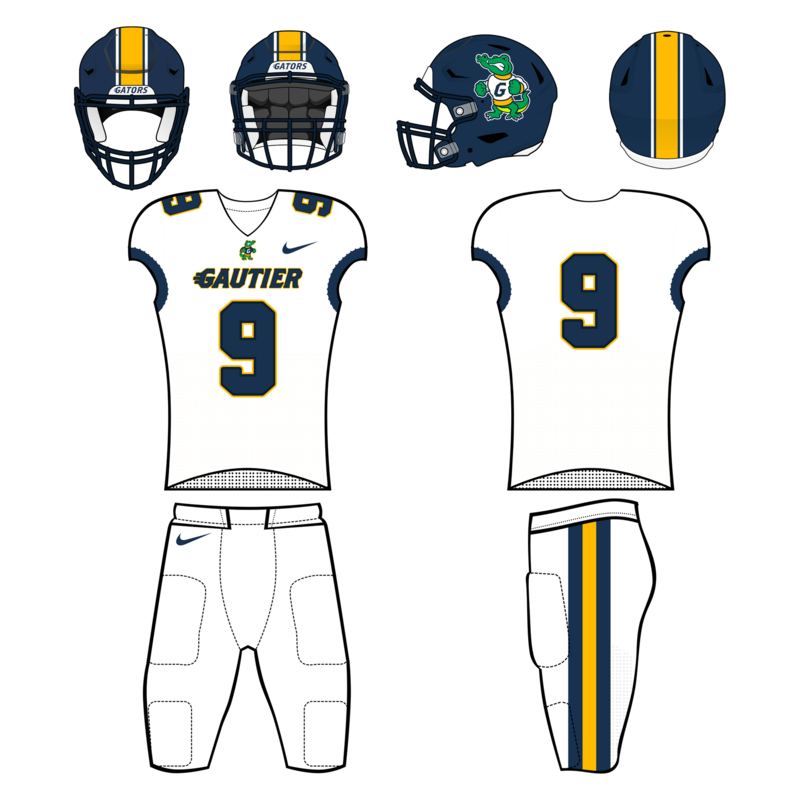 So, trying to stay within the reality of keeping the helmets and only getting new stickers, I created the same helmets with the new logos, only adding a white helmet to the mix after the fact (when this became a personal project). Football (continued): Following the helmets, I created the uniforms. The uniforms were to be based off of the already existing and past uniforms at the school, as they wanted to sell a "traditional" upgrade, which was fine with me because I love the classic looks. Hopefully I did the classics justice with these sets. 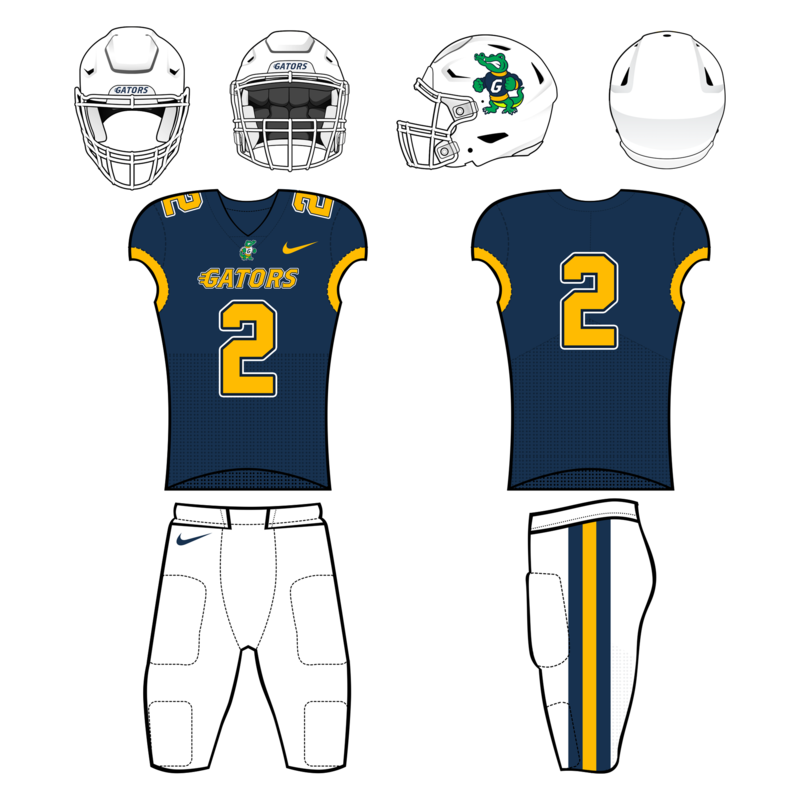 This post will include all uniform combinations including the Navy home jersey. 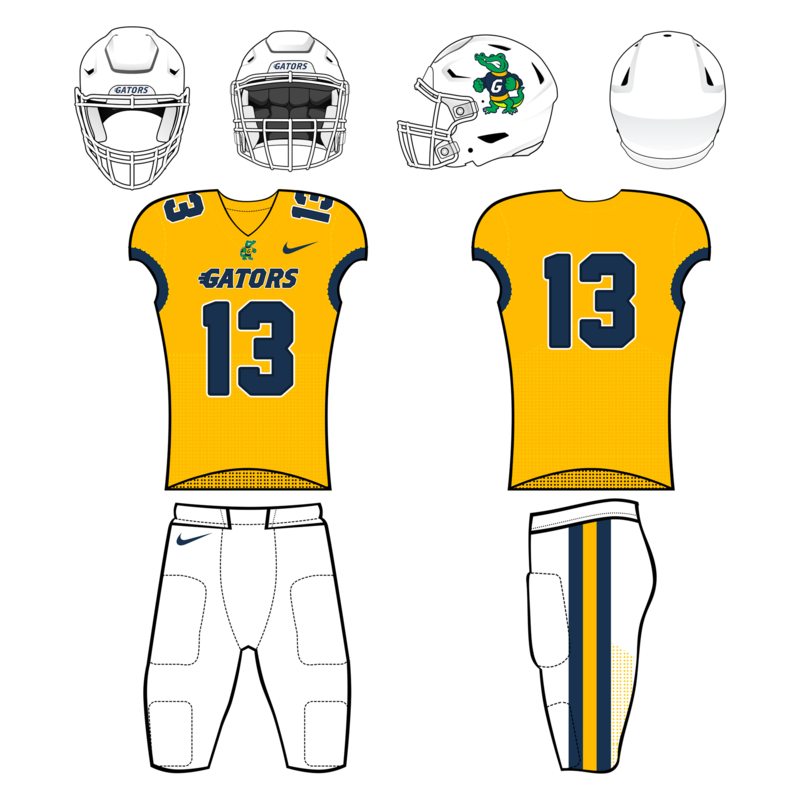 The next post will do the same for the White road jersey, followed by the Gold alternate. *Edit - I am unsure why the images are so blurry. They are extremely large files that are crystal clear prior to uploading, so sorry about that. 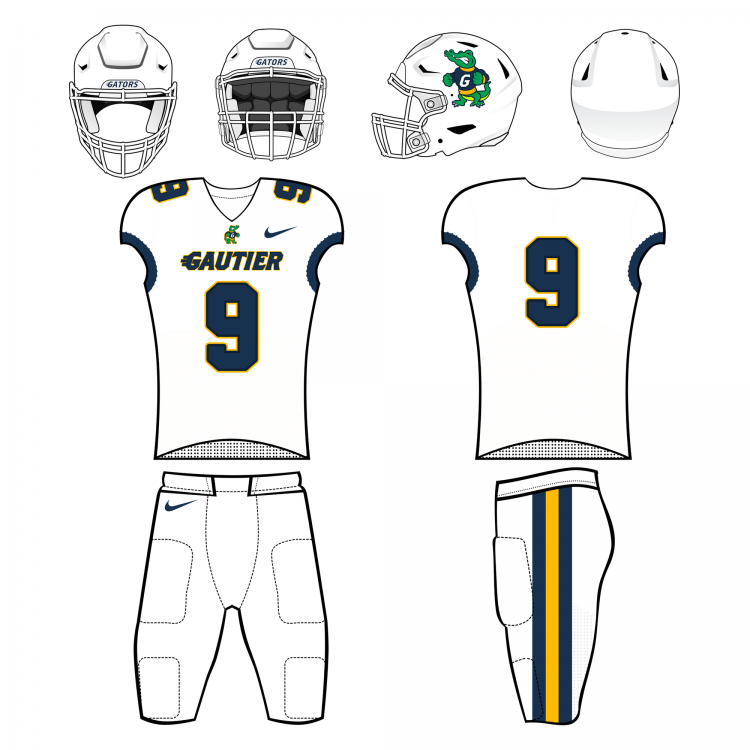 Football (continued): The White road jersey. 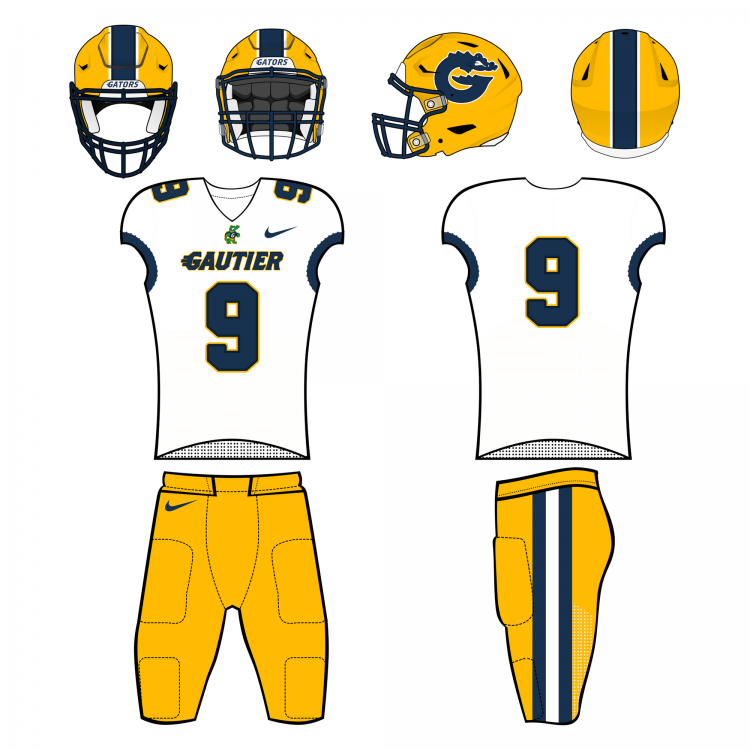 Football (continued): The Gold alternate jersey. C&C please! Up next is Baseball. Without any more wait or comments, I'll go ahead and post Baseball. I would try the wordmark G on the navy baseball cap. I was also wondering how it would look to put the wordmark G on the primary gator's sweater?? Well done across the board. @Whitefoot is this what you mean? And @Brave-Bird 08 thank you! I just found this today, and your entire set of work is very impressive. I'm bummed for you that the school went in a different direction. It appears they are missing out. Great job.